The Roskelly Team at RE/MAX Leading Edge just listed this beautiful three level, back-to-back town home for sale in the Piney Orchard subdivision of Odenton just 10 minutes to Fort Meade. Enjoy all of the Piney Orchard community amenities including indoor and outdoor pools, miles of wooded walking trails, tennis courts and so much more! This home features 3 bedrooms and 2.5 baths and is offered for sale at $295,000. View the full MLS listing here. Inside you'll find an open floor plan with hardwood floors throughout including a spacious living room, dining room, a beautifully remodeled kitchen with breakfast bar & stainless steel appliances, and a half bath. 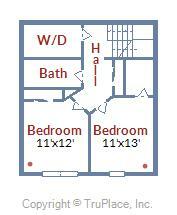 The second level feature two bedrooms including one with walk-in closet, plus a full bath, and laundry/storage room. 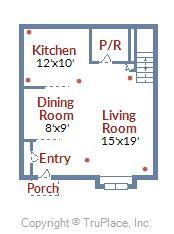 And the entire top level is a grand master suite with cathedral ceilings, a huge walk-in closet and an en suite bath. Call or visit us on-line to request a showing of this home. It will sell quickly!